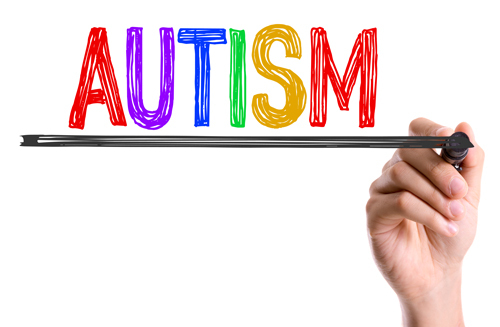 According to the Centers for Disease Control and Prevention (CDC), one in 68 children (1.47%) in the U.S. have been identified with autism spectrum disorder, but a new report may be upping those figures. The one in 68 value is based on estimates from 2012 and new, updated data collections from 2014 have shown as many as one in 45 children, roughly 2.24%, may have autism instead. The new numbers come from the National Center for Health Statistics and raises questions about how autism is diagnosed and whether rates of the condition have actually been changing. Both the 2012 and 2014 studies were performed in a similar manner: during the National Health Interview Survey, one child in each family is randomly selected to be the subject of detailed questions about health conditions, functional limitations (if any), and use of healthcare. Parents are also asked about various developmental disabilities. Based on these answers, the prevalence of autism, intellectual disabilities, and developmental disabilities are estimated for the country. The 2014 study rearranged several of the questions pertaining to autism and also adjusted how they were asked. The authors of the study aren’t sure if this change is the reason more children were estimated to have autism. The reason for the uncertainty comes from another change in the findings: the rate of developmental disorders being estimated fell from 4.48% to 3.57%, based on the 2014 data. The amount this number went down is similar to the amount that the autism numbers rose, meaning it is possible that the change in questions led to parents identifying their children with autism when they would have previously identified with a developmental disorder. Unlike, say, pregnancy, there is no hard-and-fast test for diagnosing autism. It requires a mixture of observations of development over time and what is ultimately a judgment call. Since children all develop at different rates, about 13% of those who are diagnosed with autism will later lose that diagnoses as they start to show appropriate skills and/or language abilities. Another reason for the increased rates could be that what is defined as autism has been broadened over time due to changes in diagnostic criteria. What may have been counted separately ten years ago as an intellectual disability could be considered autism in the present day. More information about the condition and associated support may also be related to the increased statistics. In the past, doctors could have hesitated to label someone with an autism diagnoses but are not as reluctant now. It could also be that the rates of autism in the country are genuinely increasing. The study does not offer hypotheses about possible reasons and focuses more on methodology rather than numbers. “Autism Spectrum Disorder – Data & Statistics,” Centers for Disease Control and Prevention web site, August 12, 2015; http://www.cdc.gov/ncbddd/autism/data.html. Christensen, J., “Autism an Increasing Problem for Children — or Is It?” CNN web site, last updated November 13, 2015; http://www.cnn.com/2015/11/13/health/autism-numbers-inflation/index.html, last accessed November 13, 2015. Nierenberg, C., “1 in 45 American Children Has an Autism Spectrum Disorder,” Fox News web site, November 13, 2015; http://www.foxnews.com/health/2015/11/13/1-in-45-american-children-has-autism-spectrum-disorder.html. Zablotsky, B., et. al., “Estimated Prevalence of Autism and Other Developmental Disabilities Following Questionnaire – Changes in the 2014 National Health Interview Survey,” U.S. Department of Health and Human Services Centers for Disease Control and Prevention National Center for Health Statistics web site, http://www.cdc.gov/nchs/data/nhsr/nhsr087.pdf, last accessed November 13, 2015.